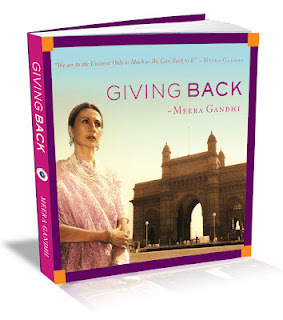 Meera Gandhi sat down with Peachy Deegan to chat about her new book! We are thrilled to present our latest interview with this fantastic Mover and Shaker! You absolutely have got to read her book! Peachy Deegan:Â We are so impressed with all that you have done since the birth of The Giving Back Foundation-how did you conceive of the idea specifically? Clodagh's husband and partner, Daniel Aubrey said, "Giving Back" is it- go for it and don't look for any other names.Your conversation is always so Giving back inspired- that must the name! 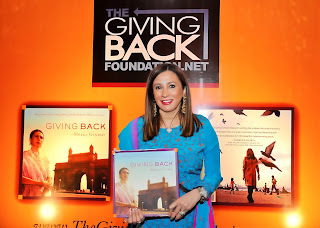 The Giving Back Foundation was registered in 2010. And gained 501 C 3 tax exempt status within three months of registration. How has it been able to grow so quickly? We have set up offices in NY, London, HK and Delhi- this has given us close access to the on ground projects that the foundation is supporting!Â I have been on planes up and down the globe- working on our foundation's base. I think the personal passion and the strong financial backing the foundation has had-Both have enabled us to grow very nicely. What do you know now about running a foundation that you didn't know when you began this? Can you please tell us how Mother Theresa inspired you? I met Mother Teresa on a few occasions when I was working at Asha Dan in Byculla Mumbai. At the time, in 1978, I did not realize that she was influencing me. I was there as a volunteer, I enjoyed it and when Mother visited from Calcutta- no one made a huge fuss. But today, I know that her intense joy of service to another human has deeply stayed with me. What other people or events do you draw inspiration from? 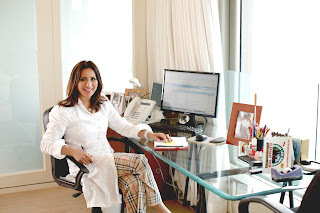 My mother Ellen Mc Carthy Agarwal is my biggest inspiration of Giving back and my father and husband inspire me to be more organized in my approach, from keeping papers in order to a more disciplined approach towards paperwork, which is also very important to the continued growth and success of our global projects. What makes you happiest in giving back? I am a doer- before I can even get the thoughts out of my head- I am off and doing. Doing gives me happiness. What are the biggest challenges you face in running The Giving Back Foundation? Not enough time in the day and battling time zones! What are your criteria for adding new charities? What charities would you like to add that are not part of The Giving Back Foundation yet? Every day we come across more need and our team makes decisions accordingly. Is this book available on readers (i.e. Kindle etc)? The "Giving Back" E enhanced book with Video clips- will be out in March 2013 and the I pad apps will be ready for December this year- many new people have been added already! What or who has had the most influence on your pursuit of excellence? Part of this is who I am and another part is definitely my family, My 3 children Kiran, Kanika and Kabir and my husband Vikram and then my own parents Perbodh and Ellen Agarwal and my siblings Sunita Rana and Rajiv Agarwal. What are you proudest of and why? My three children are still my proudest achievement. 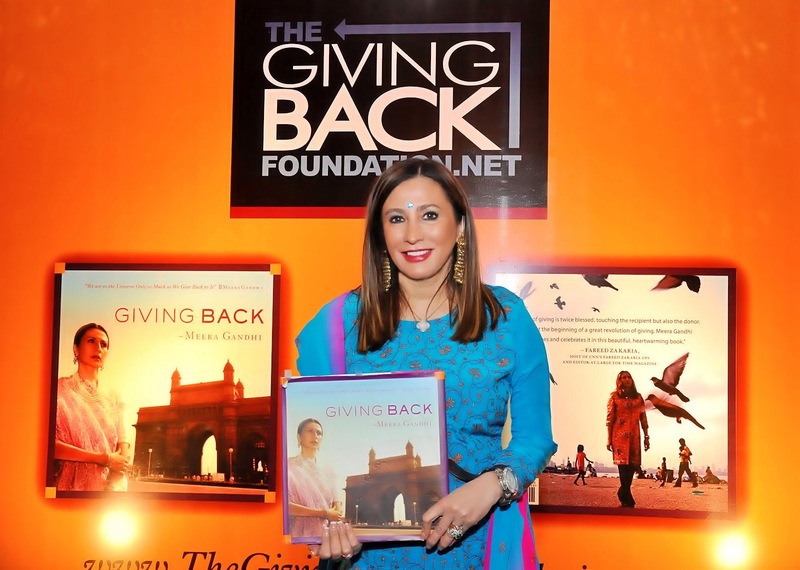 What is a typical day like in the running of The Giving Back Foundation? I like to awaken very early and deal with paper work type issues early and correspondence etc and get that done.Â The if I am In India, I usually go to our project sites - as that is still most important to me. Â My global meetings are set up from the NY office and usually have several all week In all cities. Other people who are giving back are usually inspired so its always very nice.Â I sleep very early as most people close to me know! What should most people know about charitable organizations that most do not know? They work very, very hard behind the scenes to raise the money needed for any project! Your organization is so global-how does charity in every aspect vary from continent to continent and country to country? To be honest human need is not really all that different from one continent to another- but in Asia its more basic need driven and in North America its more aspiration driven. Tell us about the launch in India please and the subsequent launches in other cities. What should our readers know about the May 9th launch in Manhattan? Do you plan to write a sequel? What else should Whom You Know readers know about you? A sequel, would seem logical as we want to add so many amazing charities and people. But next 2 years is time for the on ground- grass roots work. We will see what Dolphin and Jones book publishers propose next!